You are here:Home-Packaging Basics-What Type of Packaging Should You Use? What Type of Packaging Should You Use? No matter what kind of e-commerce business you run, one of the most important decisions you make is how to deliver products to your customers. It’s a daunting task to sort through all the different types of boxes on the market to figure out what you need. In this short guide, we’ll answer frequently asked questions to help you find your ideal packaging solutions. Out of all the types of cardboard boxes, tubes and mailers available, which should you choose? This is a big question, so let’s break it down by the specific needs of your e-commerce business. How should I ship products of different weights? First, calculate how heavy your products are, then search for packaging solutions based on weight. Many packaging companies, including DS Smith, allow you to filter products based on filters including weight, specifications, and color. As a general rule, you should ship heavier items in sturdy double wall cardboard boxes. Their double-fluted corrugated cardboard construction adds extra protection against damage during shipping, and they hold up to 15 Kg or up to 10 Kg on pallets. If you need light duty (up to 5 kg) or medium duty (6 to 15 kg) packaging, you have more options. Our single wall cardboard boxes are versatile, affordable and available in 11 different dimensions, supporting a recommended weight up to 10 Kg, or up to 5 Kg on pallets. Postal boxes are also easy to assemble and adaptable to many different products. How should I ship fragile products? When shipping fragile items, your main concern is making sure that they arrive intact on your customer’s doorstep. 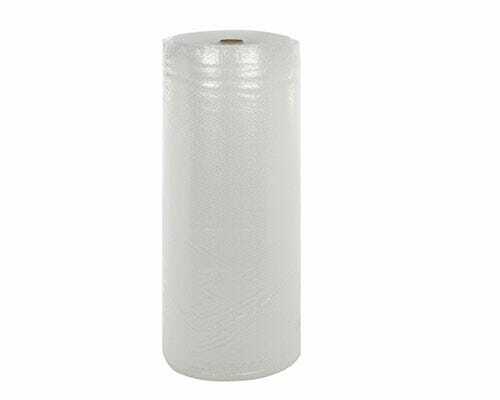 For this to happen, the products must be properly secured and padded in their packaging, with no danger of rattling around or getting damaged by bumps and shakes. Packing a cardboard box with bubble wrap around the fragile items. This method can be adapted for products of various sizes and weights. Skipping the box altogether and shipping items in a padded mailer bag. 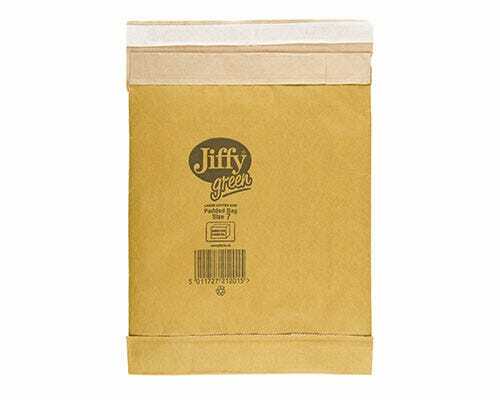 For flat items, such as books, DVDs and small electronics, Jiffy padded mailing envelopes with self-adhesive closure are an attractive choice. They have a slim profile and don’t take up much storage space, but they still offer good impact resistance. Securing a breakable item in an interior retention pack, which holds it in place within a shipping box. Retention packs are an all-in-one packaging solution, so you don’t need any additional void fill. They are a good choice for items such as dishes and glasses and mobile phones and other electronic devices. How should I ship products of various sizes? If your e-commerce business sells multiple products of various sizes, you’re usually faced with a tough dilemma. Do you buy a wide range of boxes in assorted dimensions? Or do you try to make all of your products fit in a smaller selection of boxes? 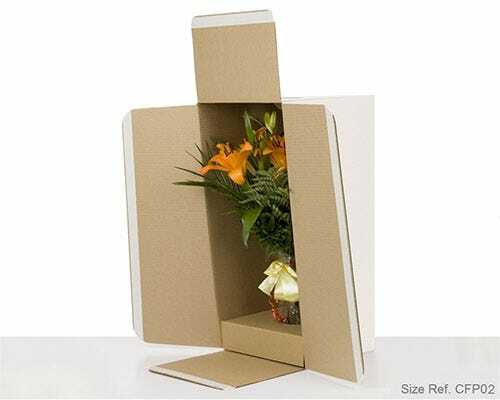 Made2fit cardboard boxes were developed specifically to solve this problem for e-retailers. 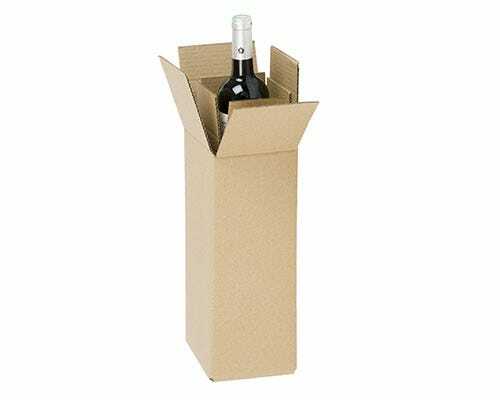 These corrugated cardboard boxes come in just two standard sizes – but you can adapt and customise them to make 26 different sized boxes. Made2fit boxes are multipurpose, used to ship everything from books and video games to cosmetics and clothing. If your company sells long items – such as prints, flags, or sports equipment like fishing gear or golf clubs – you run into both shipping and storage challenges. You need to find a packaging solution that fits odd-shaped products but doesn’t take up too much storage space. Triangular postal tubes solve this problem by maximising your available space. You can fit up to 500 triangular postal tubes on a standard pallet, compared with around 200 round postal tubes. They’re also easy to assemble, featuring a folding design and self-adhesive strips. Which packaging is best for customer returns? For an e-commerce business, particularly one in the fashion industry, facilitating customer returns is an important part of your brand. When customers shop for clothes online, they want to be able to buy items, try them on and return anything that doesn’t fit. If you make the returns process simple and stress-free, customers are more likely to shop with you again. Returnable postal boxes feature a double adhesive strip, so customers can easily repack them and ship returned items back to you. Which packaging is best for sending gifts? For gifts and luxury products, the customer unboxing experience is incredibly important. Your packaging material for these items must be polished and visually appealing, as well as functional. Our gift boxes with lids are simple but elegant and available in three sizes and five colours. Which packaging is best for products that need extra security? Some products require extra assurance that no one interferes with them in transit. If you’re shipping food, cosmetics, jewellery or high-value items, package your items in secure postal boxes for extra peace of mind. They have a tamper-proof design that makes it extremely difficult for people to slip their fingers through the box’s flaps. Which packaging is best for specialized products? DS Smith offers a full range of packaging solutions for your e-commerce needs – and they can even be customised with your brand’s logo or message. Our packaging specialists are always happy to help you find the perfect products for your company. Ready to browse different types of packaging? Check out DS Smith’s diverse product selection. Join our newsletter and enjoy 5% off your first order.